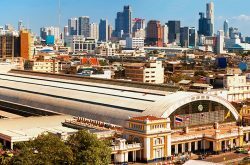 In the Phra Nakhon District, the area known as the historic centre of Bangkok, the most sacred of all Buddhist Temples, Wat Phra Kaew is one of the most popular tourist attractions in Thailand. The temple itself is found inside The Grand Palace and is made up of a number of buildings built in the familiar Rattanakosin Style, commonly known today as Old Bangkok Style. The Emerald Buddha is dark green praying statue that is 66cm tall carved from a single piece of green jade. The Buddha is considered so sacred that no one other than the Thai King is allowed to touch it; you cannot even take photos. A number of impressive ceremonies are held each year to change the Buddha’s cloak for summer, winter and the rainy season. The ceremony is important for practicing Buddhists it ushers in good fortune for the country for each season. These ceremonies are tremendously popular and whilst impressive to attend can become very crowded at what is already a crowded attraction. The surrounding buildings and temple in which the statue of Emerald Buddha is housed are equally as impressive. There is something to be said for the calm and simplicity of the Buddha, in contrast to wonder of the temple itself and almost chaotic traffic of tourists that fill the air around it one can appreciate peace in the moment. The temple that is home to the Buddha is one of the most outstanding buildings in the world with ornate carvings with embedded gems and polished, orange woodwork, and this and many other temples leave many tourists mesmerised. The temple is a huge tourist attraction in Bangkok attracting many thousands each year. The popularity of the Wat Phra Kaew in the Grand Palace has perhaps overtaken the fact that it is a site of religious importance and tourists are requested to remember this. 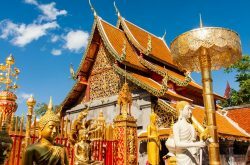 It is not just the Emerald Buddha that attracts so many tourists to Wat Phra Kaew, and other than the impressive architecture, there is a lot to see and take in. One of the attractions is a plaster model of Angkor Wat, recreated to celebrate the first one hundred years of the Royal City and one will soon learn the place they have entered has an immense history behind that full of stories of kings and battles. One of the sites not to miss is the balcony where elaborate murals can be found with inscriptions telling the story of each mural. The Gate Keeping Giants or “Yaksa Tavarnbal” is extremely impressive and at 5m tall, many tourists will a strand in awe of them. However, at every turn in Wat Phra Kaew something amazing can be found from intricate artwork on temples or impressive temples themselves. Wat Phra Kaew is an unmissable, must see while in Bangkok and in many ways it is its own unique modern day wonder of the world. There is a downside to Wat Phra Kaew in that its popularity makes it a very crowded tourist attraction. Wat Phra Kaew opening hours are from 8.30am until 3.30pm. To avoid the crowds and soak up some of the peace, arriving early between 8.30 and 9.00 is a wise decision. Wat Phra Kaew is a sacred site and a dress code is in place, nothing revealing must be worn and there are Sarongs for hire but it is best to make sure you cover up and dress appropriately. 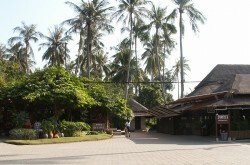 Entry costs 500 Baht and tour guides and audio guides are available at extra cost. Many hotels offer day tours that include a guide and entrance costs. 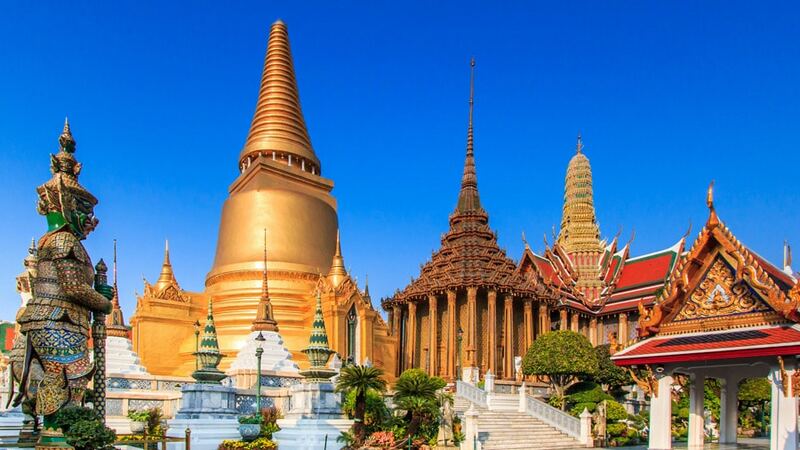 Wat Phra Kaew is a ‘Must See’ if your in Bangkok, the Emerald Buddha is absolutely beautiful! The temple has a very serene, calm and relaxing atmosphere inside.